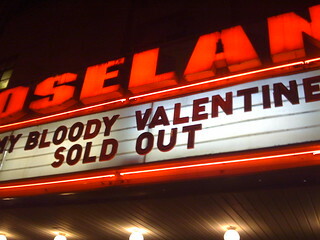 What do My Bloody Valentine and L.A. Zine Fest have in common? We are both sold out. Thank you for the amazing outpouring of interest in the Zine Fest! We will be soliciting submissions for an absentee table in early January and would also like to encourage everyone to bring copies of their zines and trade trade trade! We are excited about the events we have coming up to promote the Fest and our awesome presenters, so please keep checking Facebook/Twitter/this blog for updates!